This article was written by Sorcha Kenny. See more in the bio at the bottom of this post. There are always going to be things in your life that you can’t control: missed flights, lost luggage, visa application issues. In order to keep from going completely crazy, you need to learn to breath and let go. We can’t promise that you will be able to keep calm and carry on regardless of the situation. However, if you can actively purpose yourself to limit your freak-out moments and take a step back to see the bigger picture, you may be able to save yourself some anxiety and trepidation. This kind of traveling lifestyle takes a lot of money and effort. There will always be moments too when it feels like your back is against the wall and that something you want to achieve is impossible. There isn’t enough money, the visa has been denied, whatever the case may be. Perseverance does indeed pay off in the end. If it seems impossible right now, it’s because you haven’t looked at the situation from every possible angle yet. Take some time and consider your options. Sometimes those opportunities will be other people. Meeting the right person can make a big difference to finding the solution to your problem that you don’t quite see yet. Never give in to the impossible, always try anyway. 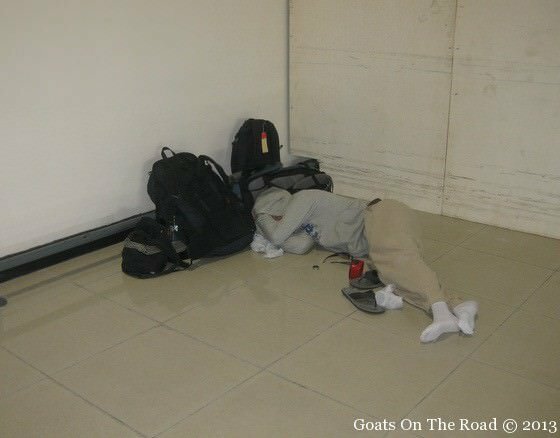 It’s pretty easy when traveling to get into an ‘I can sleep when I’m dead’ mentality. There’s so much to see and so little time. However, occasionally slowing down your travel style can make for the best experience. And since we spend about a third of our lives sleeping or trying to sleep, even in a life of travel and leisure, sometimes it really does need to be about getting a good night’s rest…or a few. Travel is about the destination for the majority of the time, not necessarily the accommodation. However, scheduling time in your travels for R&R when you are starting to feel burnt out can make a world of difference. There may even come a point when you really want slow it down and spend some time sleeping on your own bed. When you’re on a beautiful plush mattress that seems to be designed for a lifetime of comfort like these from Eve Mattress, you’ll be amazed that you ever thought that the hostel bed or tent floor wasn’t so bad. Not to mention that taking the time to recharge means having the energy to keep going instead of burning out. Unfortunately, there will always be those moments in life when you fail or do something embarrassing and they cannot be avoided. For things such as missing a flight, or getting yourself hopelessly lost in unknown lands, the best thing that you can do is learn to laugh at yourself and see possible screw-ups as learning moments that enrich your future travel success. You should never be afraid to make mistakes along the way; you should only be afraid of taking life too seriously that you are never willing to take a risk of making a mistake in the first place. Laugh at yourself in the embarrassing times and learn through the mistakes: pick yourself up, dust yourself off, and press forward with passion and purpose. There are obviously countless more travel truths to share, but these felt like a good place to start. What are some of your travel truths? Sorcha Kenny is originally from South Africa, and has a mother from China and a father from Ireland. She spent most of her childhood summers exploring the lands of her parents, which she feels really gave her an interest in travel and culture.